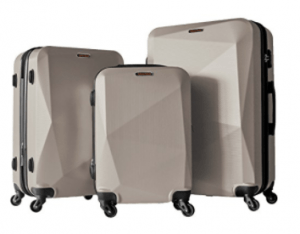 This hot new release luggage set with a modern design by HyBrid Company LLC is easy on the eyes and built sturdy and durable with high-quality components. The hundred percent polycarbonate and solid ABS plastic hardshell exterior are both sturdy and lightweight so you don’t go over the specified luggage limits and pay extra for more weight. This new HyBrid set is offered in a few different colors, including black, dark blue, dark grey, beige/khaki, rose gold, gold, white, green and dark red. You have three sizes (20, 24 and 28 inches) of suitcases in this set for your different needs. Each one of them can be expanded by up to two inches so you have more storage space. You can take one or two or all depending on the length of your business or leisure trips and how much you need to take with you. The small cabin bag weighs 5.9 pounds and measures 22.4 x 14.5 x 9.4 inches and you can take it to the plane. The medium 7.2 weighs pounds and 25.9 x 16.1 x 10.2 inches and the largest suitcase weighs 9.9 pounds and 29.5 x 18.8 x 10.8 inches. And you need to check in both before your flight. They will be shipped fitted into each other and you can store them vertically, with small into medium and medium into large. This way you will be saving on space, especially if you live in a smaller apartment. 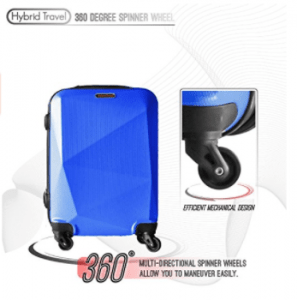 They are designed to be easily maneuverable thanks to the 360-degree rotating four spinner wheels and the push-button telescoping handle that lets you move, pull and push the luggage easily, with one finger. And you won’t be flipping or losing the balance on heavier bags. You ’ll be able to navigate or move faster and easier through the busy airport terminals. There will be less strain on your elbow, wrist, and shoulders. You can also lift the suitcase by holding the side or top padded handles, whichever way- horizontal or vertical feels comfortable for you. The locks on each suitcase are TSA-approved and only the TSA inspector at the terminal can get into your bag with a universal key and without needing to break the lock. You’ll also know that your luggage has been tampered with, thanks to an advanced feature of TSA locks. The integrated 3-digit lock is preset to 0-0-0 and you can set it to the digits you can remember easily by following the easy instructions. 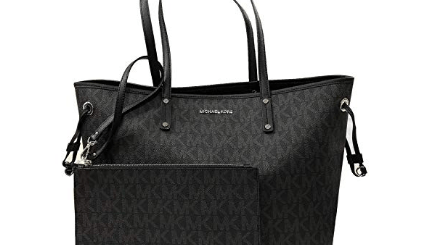 The interior is fully lined with different sections, a separate mesh pocket and cross straps on the other side to keep your clothes in place during your flight. You’ll find film stickers on some of the suitcases that may look like damage, and you just need to peel them off and you’ll see how beautiful and shiny the colors are. The hardshell ABS + PC material makes it both lightweight and durable- quite resistant to impact. ABS (Acrylonitrile-Butadiene-Styrene) is a common thermoplastic that is made of oil-based stuff and is harder to melt, stronger and lasts longer. It offers good value for money overall, in terms of looks, functionality, ease of use and durability.